Arista’s new line of network switches provides greater performance and scale to meet the demands of cloud providers and cloud-first businesses. It’s fair to say that there has never been a bigger driver of network evolution than the cloud. 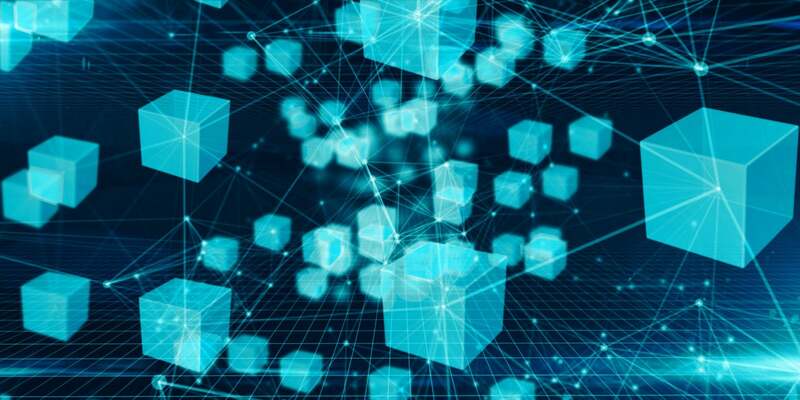 The reason for this is the cloud is a fundamentally different kind of compute paradigm, as it enables applications, data and architecture changes to be done seemingly instantly. Cloud-native infrastructure is what enables mobile app developers to roll out new versions daily if they so choose. Another fact about the cloud is that it is a network-centric compute model, so a poorly performing network leads to equally poorly performing applications. A lack of network agility means DevOps teams need to sit around twiddling their thumbs while network operations make changes to the network. This has been the driving force behind Arista’s software-first approach since the company launched many years ago. It’s EOS operating system was designed to be portable, so the company has been able to deliver a consistent set of features through different silicon releases without disrupting the operational processes of the networking team. Often organizations will hold off upgrading the network because their vendor made a major change to the OS, requiring scripts, tools, and management systems to be updated. But Arista has maintained a single OS across all its products. Arista recently announced two new series of switches that increase scale and performance of the network while maintaining operational consistency. The Arista 7050X3 and 7260X3 series are fixed form factor, leaf-and-spine products that use the Broadcom Trident 3 and Tomahawk 2 silicon. The 7050 is more of a general-purpose switch and geared for enterprises that are running highly virtualized and/or containerized data centers. The series comes in two flavors — one switch has 48 25 Gig-E ports with 12 100 Gig-E uplinks, and the other offers 32 100 Gig-E ports. It’s optimized for complex layer 2 / layer 3 processing and tunnel encapsulation/decapuslation, and it is an ideal product to implement security policies required at the server point of entry into the network. The 7260 is suited for cloud providers or very large enterprises that have similar requirements and has a whopping 64 100 Gig-E ports in 2 RU form factor. It’s designed to be a data center leaf-and-spine switch and is optimized for simple layer 3 processing and tunnel transit. 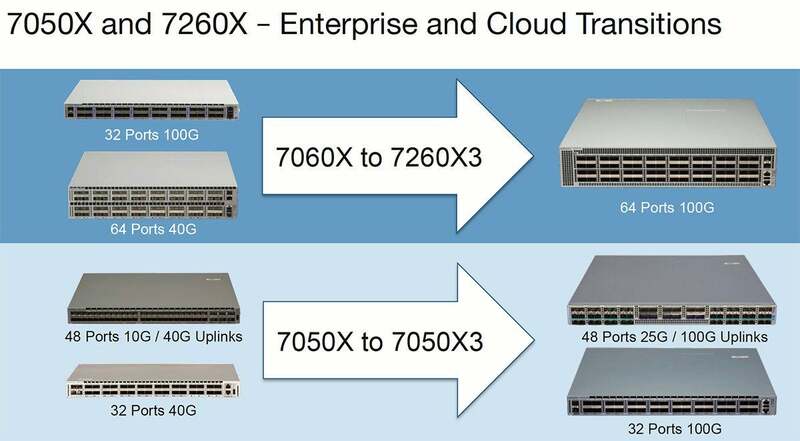 These new switches are also double the capacity of the previous generation, 7060X and 7050X. The new X3 series maintains the consistency of EOS but adds a wide range of features made available in the new Broadcom silicon. Arista customers can leverage the programmability of the platforms to run their own extensions to deliver unique capabilities. This provides the benefits of software without having to maintain a custom operating system. Arista certainly isn’t for everyone. But for customers that require leading-edge performance combined with programmability and agility, the company has provided a consistent drumbeat of new products leveraging the latest silicon.